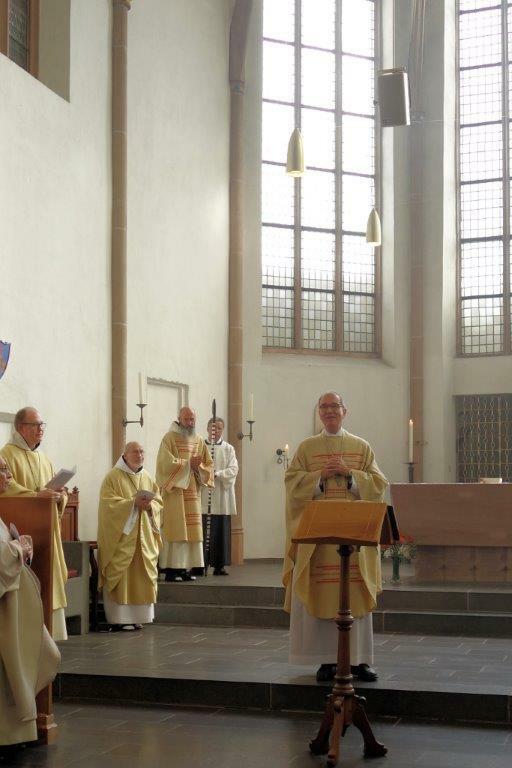 The official closing of the Mariawald Abbey (Germany) took place on September 15, 2018. The decision for the closure was taken at the General Chapter, Assisi 2017 (vote 43). 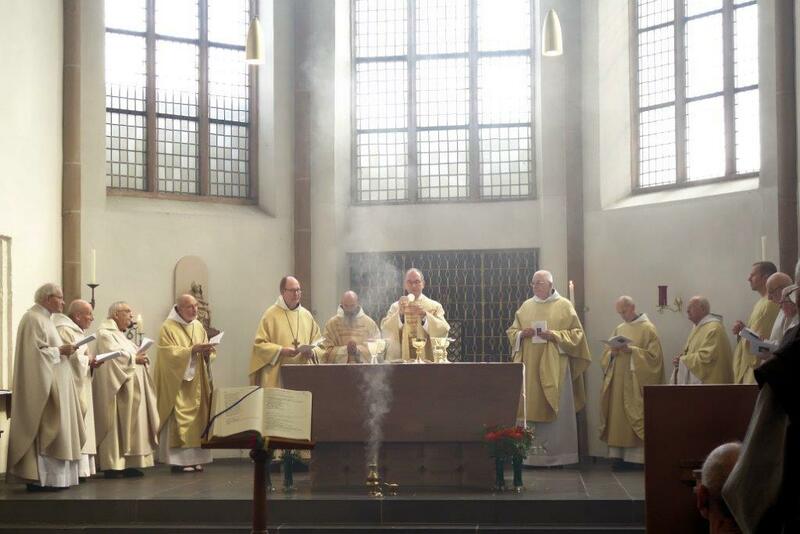 The celebration was presided over by Bishop Karl Borsch, Auxiliary Bishop of Aachen, in the presence of Dom Dominique-Marie, Abbot of Oelenberg (France) and Father Immediate, Dom Bernardus, Abbot of Tilburg (the Netherlands) and Pontifical Commissary of Mariawald, Dom François de Place and Dom Bruno Gooskens (Abbots Emeritus of Mariawald) and Dom Hubert of Engelszell (Austria). Three brothers from the Community were able to attend the closing. Sisters from the Communities of Maria Frieden and Donnersberg were present as well as many faithful of the region. 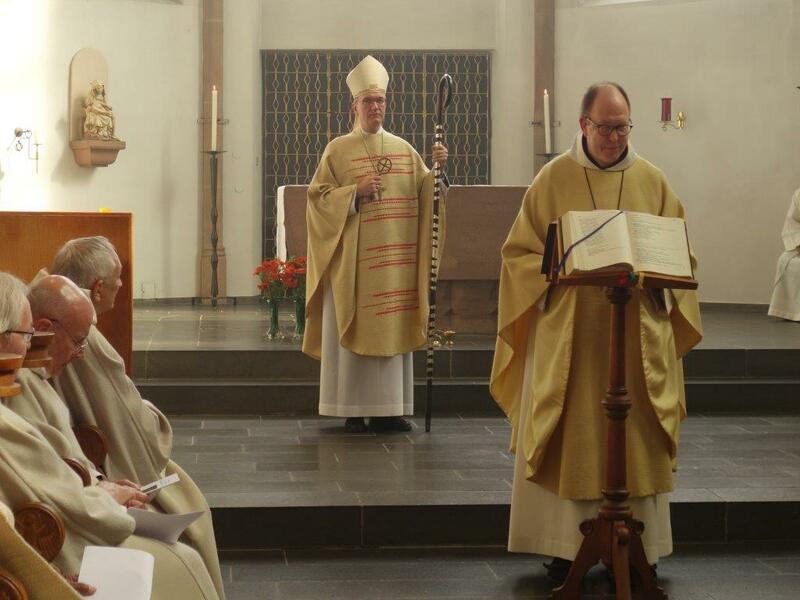 At the end of the celebration, Dom Bernardus handed the keys of Mariawald to the Bishop: it is the diocese that now takes responsibility for the place which remains a place of prayer. The celebration concluded with the singing of Salve Regina. 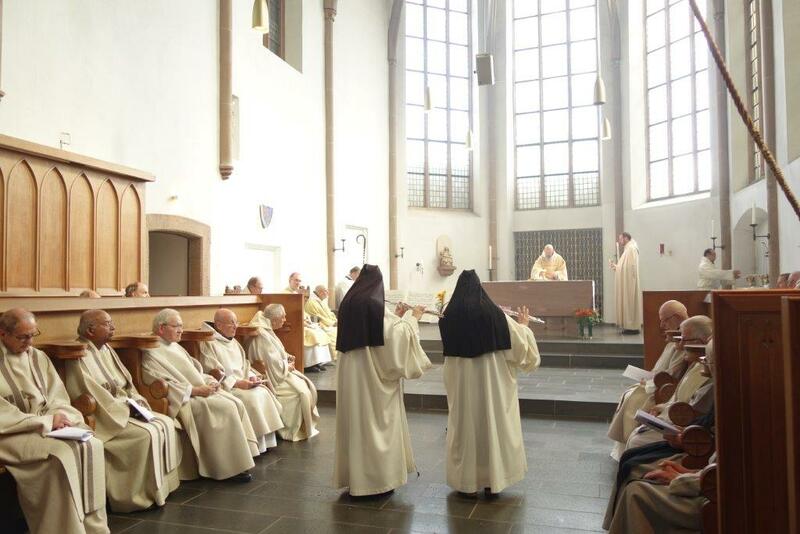 It was a touching moment after so many centuries of Cistercian life. 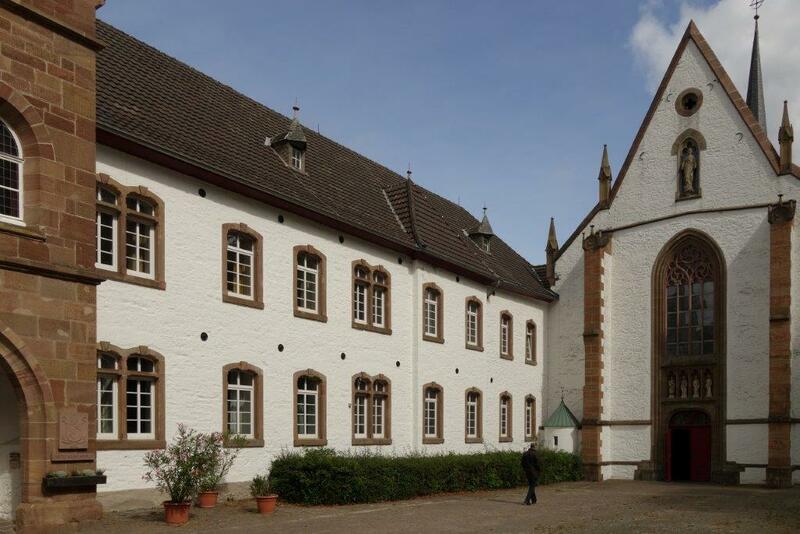 Following the closure, two brothers of Mariawald, including Dom Josef, the last Abbot of the monastery, went to the Cistercian abbey of Vissy Brord, in the Czech Republic. The six other older brothers are living in various retirement homes around Mariawald.